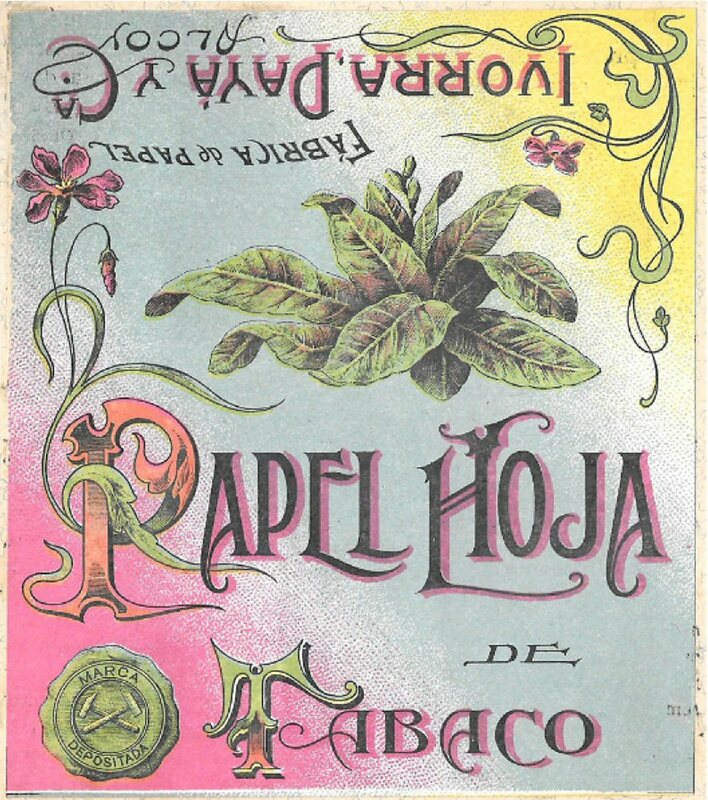 This paper cover would have formed basis for hardback booklet of papers. 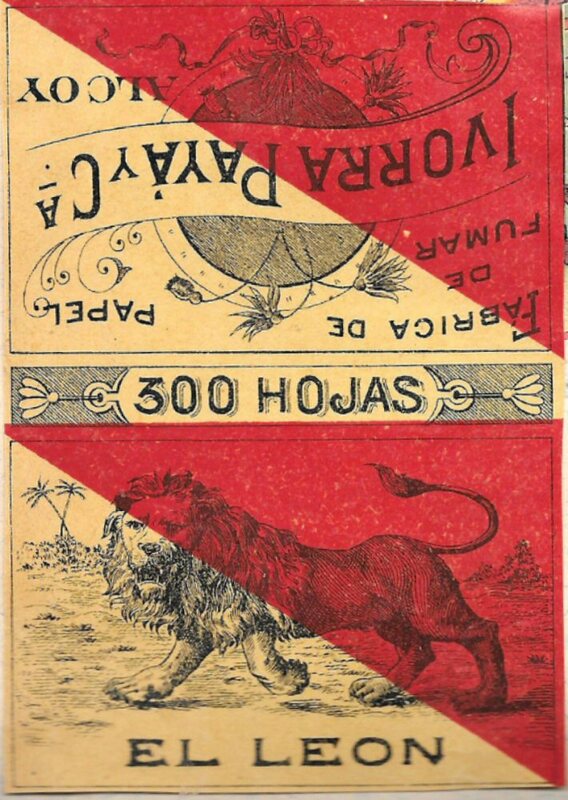 300 hojas!. Plaza de Isabel II En Cadiz. 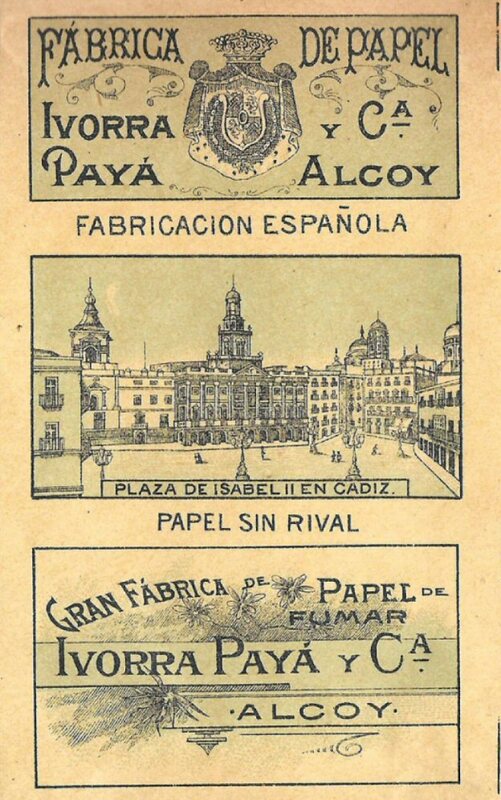 Booklet has no brand name but depicts illustration of Plaza de Isabel II en Cadiz central panel. 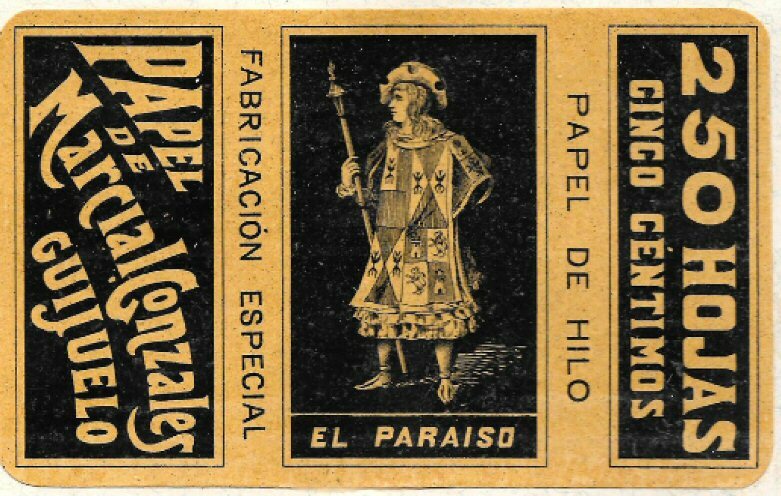 Fabricacion Especial Papel de Marcial Gonzales. 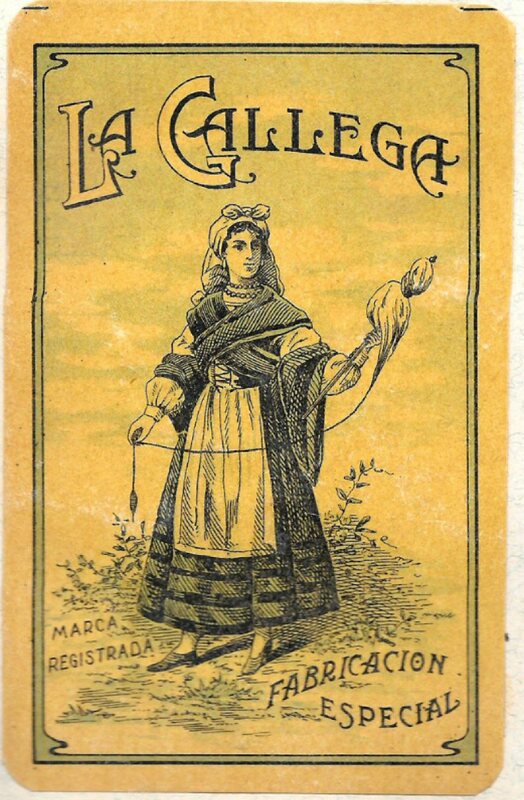 Image of Lady playing Triangle. Image of Lady with flower. 1 of a series of 4 stylised covers. Mythological scene: Despedida, De Pablo y Virginia.